Dog Days are Here Again…..
Sun…..July 31, 2011…… Enjoying a day of rest, boy is it hot…but today we have some relief on the way in the form of rain/thunderstorms as the weather folks are saying a front is moving our way. That is good, we need some rain and that will give a lot of our smaller waters a shot of fresh water. If the stream you fish doesn’t get high and murky or muddy, the fishing can be stellar after a rain. The fish often go on the feed and we do quite well during these times. 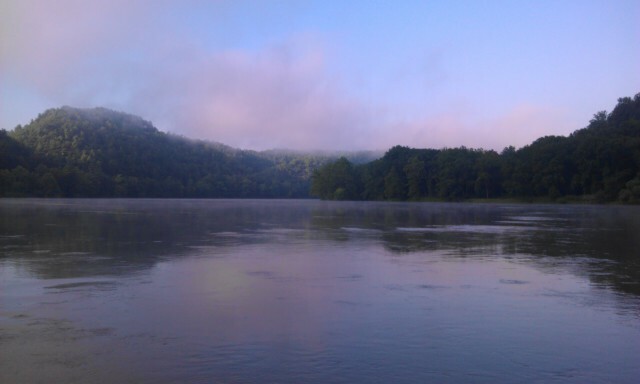 Also, this time of year you want to fish early am hours to get into the best fishing as it takes water a long time to lose its heat and the morning is when you have the coolest water temperatures. Have had some good days this week, mostly terrestrial fishing but we’re still getting into some regular sulphur hatches on the South Holston still, so that opportunity continues to be available. We even caught some this past week on high water as the high water sulphur hatch is now in full swing too and the fish are loving it. Did some “R & D” fishing on the Smith yesterday with longtime friend, fellow guide, videographer Tom Jackson, T5Video, Lexington, NC, and we had some decent action on terrestrials. 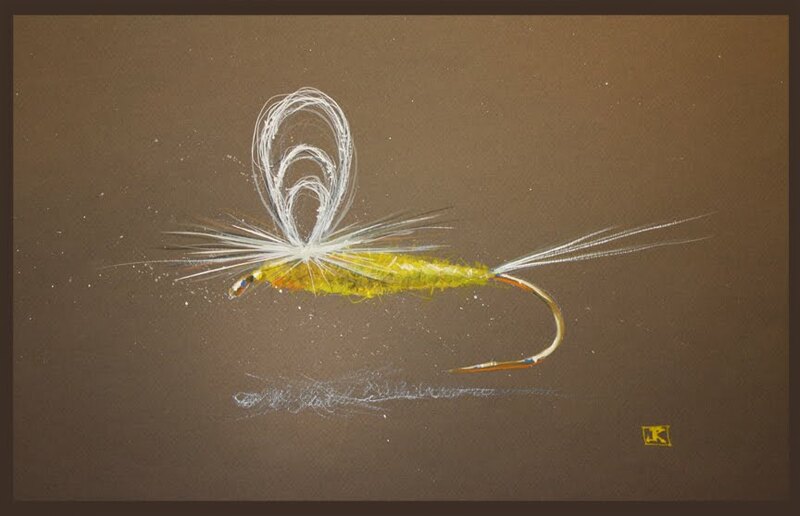 The fish are definitely in full summer mode right now…..and lots of fish shallow and on the banks. Click here for a free printable August hatch chart for our smaller waters. Look for our upcoming newsletter as I am almost finished with it and will have it out early this week. Have a busy week coming up for trips, we’ll be on small streams, the Holston, and the Smith River, and probably a smallmouth day or two if the weather cooperates. Will hopefully have some great reports right from the river for you as well. Thanks and enjoy your Sunday…! Sat….July 30, 2011………With Tom Jackson on the Smith River and we have been catching fish on some new beetle and ant patterns, Tom just landed another….a brown. I think that brings the tally to 15 or so. There are quite a few fish on the banks, margins, tailouts, and shallow bank riffs. These fish are looking for a meaty terrestrial to drift by. So far not much of any insect activity sans a few craneflies, small bwos , and midges. It’s been challenging fishing under bluebird skies……the fish are mega spooky. One bad cast and they not only quit feeding, but they pack the bags and vacate the area. So far today the beetle has been the bug of choice. 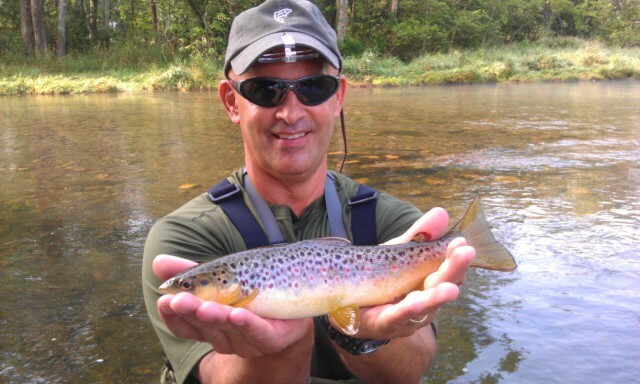 That was the bug of choice yesterday too while I was guiding Shaun Redgate of Forest, VA, on the South Holston. We killed them on one of my beetle patterns. 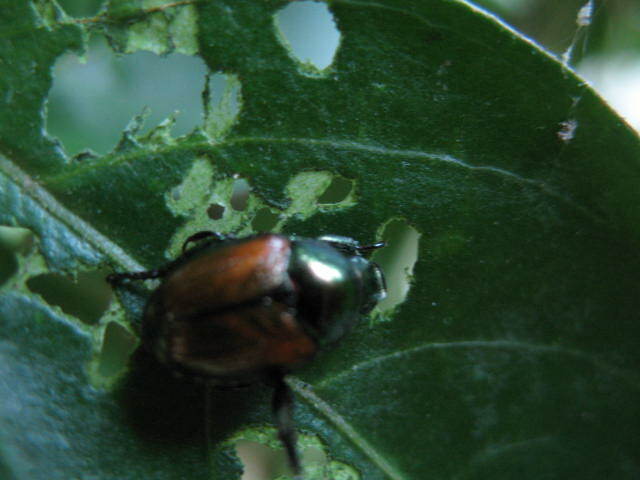 Beetle and Ant ……That’s The Rant……. Sat….July 30, 2011…….Quite a hot start to the morning, it was nearly 80F when I left this morning at 600am……looks like hot today and maybe some relief tomorrow in the way of showers and t storms. 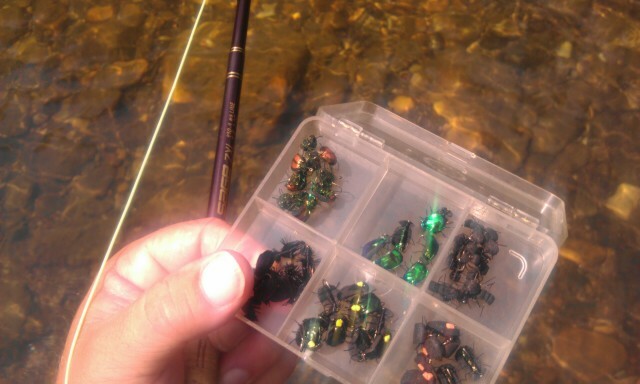 On the Smitty today with Tom Jackson doing some R& D fishing with a box chocked full of new beetle and ant patterns. Have caught about 10 fish so far, all on dries…..nine on beetles and one on a carpenter ant. Also managed a rainbow on one of my budding CDC midge emergers. Tom and I ate purposefully fishing several spots that have tough fish as they are always good to test new flies on. 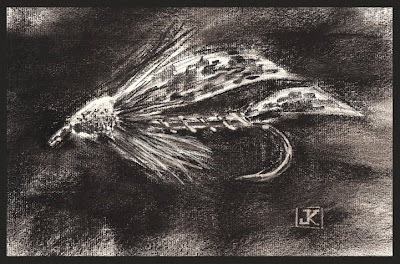 If you catch fish I have found its good confirmation as to the merits of a fly pattern. These fish are tough……! One reason so many folks don’t have fond feelings for this river. 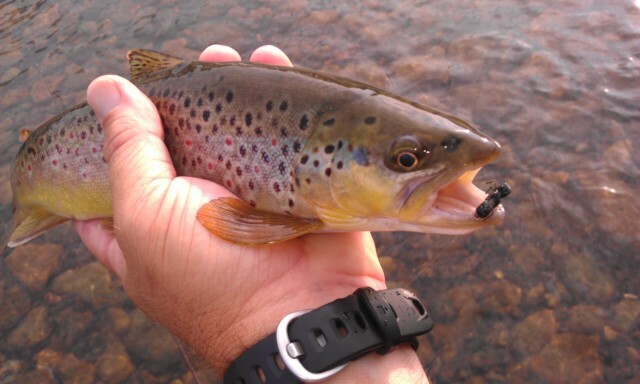 But I do, because most of what we catch are wild browns and we almost always get them on dry flies. Fri……July 29, 2011…….What a day, great day today guiding Shaun Redgate, we got the first fish within 5 casts with a beetle. For the next hour I watched Shaun stick fish after fish on a beetle. It was fun, and we got some smashing strikes. We fished several other places and got on some sulphurs, Shaun caught a good many on one of my sulphur emergers. 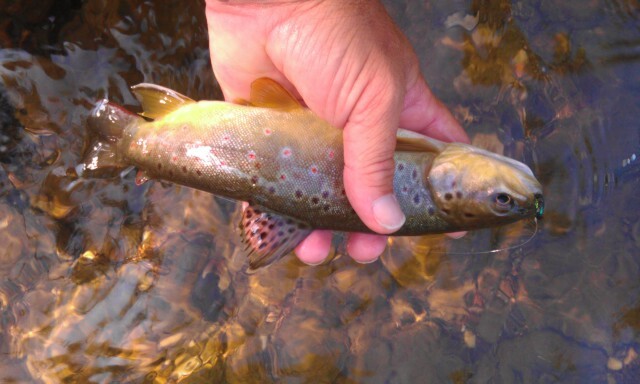 We finished the day with about 15 fish , a mix of browns and rainbows….and all but one were on a dry fly. We are getting some of the best beetle fishing I have seen in a few years. It was a hot day today, 96F on the water……but I guess when you step into 49F water it doesn’t feel so bad. Have another trip tomorrow with Tom Jackson. We will be fishing in VA and I will be testing some new patterns. Hope your week was good and your weekend is even better. Wed……July 27, 2011……What a gorgeous morning it is as we ate in the New River Valley just south of Wytheville. The morning is cool and nice if only the water were clear. It’s been a while since the middle New has been clear, and looks like it will be a while longer. The past week’s thunderstorms have kept things pretty stirred up…..and they still are. My guess is it will be mid week next wk before things clear up. Update on the VA Lawsuit…..
Will keep you posted as things develop. Heading out tomorrow to do some smallmouth scouting as the water conditions have been less than great and bringing my sons along so we can cover a lot of water. Should be great fun. Have a Thursday lesson and a guided trip Friday and Saturday…..and the heat is coming back….! Sweet….! If you fish in VA or will in the future this case demands our response because of the far reaching implications of a ruling against public access. It could affect other waters as well. Stand with me and defend our interests and those of the people of VA to use and enjoy the Jackson and any other rivers where injunctions invoking Kings Law may be sought to limit use. Jackson River Lawsuit……Here We Go Again…. Mon……July 25, 2011…..A quick news bit of major importance…..a place where I personally have fished and guided on the Jackson River is suing three angler, one a guide, one a gentleman from Charlottesville, and one a pastor…..sounds like a really rough crowd…lol. You know how destructive those fishing guides and pastors are. Simply put, I am sending this out because the place I and many customers have patronized for many years with thousands of dollars in business is suing these three people for wading/floating through their property. The section they are floating is deemed legally navigable, floatable, and fishable by VA Dept of Fish and Game. You can catch all the details about this at the great flyfishing website http://www.current.com in an article by Beau Beasley. It’s under the conservation tab. Another thing that can be done is to contact the attorney general and urge him to join as Party defendant in North South Development LLC, et. al. v. Garden, et.al. Sun…….July 24, 2011….Celebrating a good week on the Lord’s day with a day off to rest….which is always good! And a good day to do that, it has been a sweltering week to say the least. Fortunately the spotty thunderstorm activity in the mtns have kept some stream levels up, the New , The Johns, the upper Holston in VA, all the smallie waters have been getting a regular shot of new water…..some getting so much that we have high, muddy, and unfishable conditions. A bummer it is, as the popper fishing was stellar…and it will be back once the water clears. The damsels and dragonflies are flying in number now and the smallies know it. Looks like another hot day today, and then we ‘cool’ off to the low 90s for the entire week. Rain chances improve tonight and tomorrow to 50% as a weak cold front approaches from the north. We need some rain here, we are down about a half inch for the month and 4 inches for the year. For us, this heat means one thing……BEETLEMANIA. Well, not just beetles but large ants, inchworms, you name it, whatever falls in the water is fair game. Have been getting into some great terrestrial fishing on the tailwaters and smaller waters alike….it is really good, which is what summertime fishing is all about. I am predicting we’ll not only be doing a lot of this fishing in the coming weeks but will catch some big browns this way……hope your weekend was grand……and hope your coming week is as well.